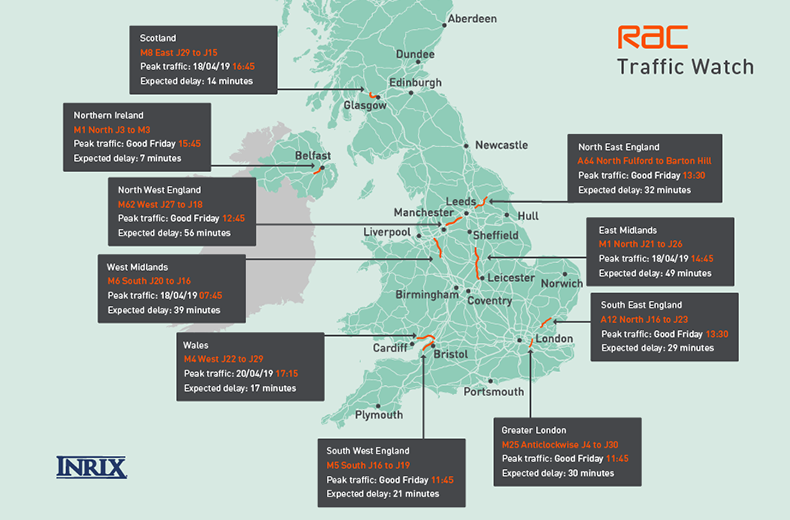 Around 15 million leisure car journeys are expected to be taken in the run-up to Good Friday, with a further 12 million across the bank holiday weekend itself, new figures from the RAC show. Read on to find out how to avoid lengthy delays. Research of drivers’ travel plans* suggests that there is expected to be sustained levels of leisure traffic in the run-up to Good Friday, a day when there are around 4.4m journeys expected to be taken by road. The worst delays on this day are expected on the M5 southbound, passing west of Bristol (J16 to J19) – part of the popular holiday route towards Devon and Cornwall – the M25 anticlockwise from Bromley (J4) through the Dartford Tunnel to the A13 (J30), the M6 north between Preston (J31) and Lancaster (J34), and the M62 west between Leeds (J27) and Manchester (J18) where delays of around an hour are expected. RAC Traffic Watch spokesperson Rod Dennis said: “This week we’re expecting a significant second wave of Easter getaway traffic, following that which we saw at the start of April when schools broke up. This will mean the coming week and the bank holiday will likely be characterised by lengthy queues in some spots. “Traffic jams are frustrating at the best of times and while we can predict where some of these will crop up, it only takes a single bump or breakdown for huge tailbacks to form. But there’s a lot drivers can do to reduce the likelihood their car will fail them, and in fact a lot of the breakdowns our patrols attend are completely avoidable if drivers had checked over their cars before they set out. 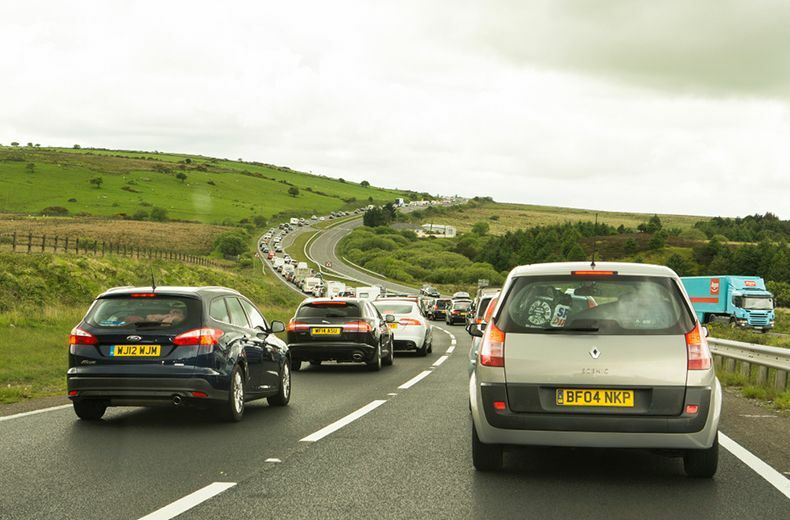 Dan Croft, Incident Group Operations Manager at INRIX, said: “Drivers in the UK are all too familiar with traffic jams. In fact, the average UK driver lost more than 170 hours to congestion last year. During peak hours over Easter, journeys could take UK drivers three times longer than usual. Estimated 11.9m leisure trips by car between Thursday 17 April and Easter Monday, 22 April. Visit the RAC Media Centre for more details on Easter traffic. Most traffic queues are caused by too many cars on the same roads at the same time. If you can travel outside the peak times – early in the morning or later in the evening – you can easily miss them. Many breakdowns are avoidable – punctures for instance can be caused by a tyre that is in poor condition or not inflated properly. Check oil and coolant levels as if these run low you could be in for an unwelcome breakdown and a big repair bill. Read How to repair a flat tyre and how to change a tyre here. Read our road trip survival guide.